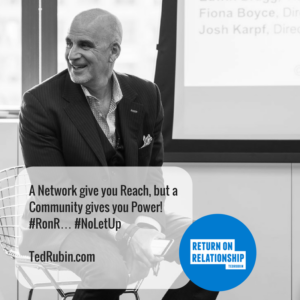 If you follow Ted Rubin on social media, one word comes to mind when describing his approach: Relational. Ted is a serial community builder and passionate about cultivating deep, meaningful bonds with people. 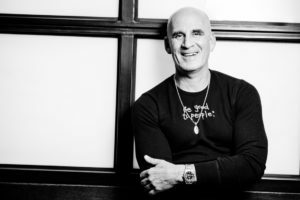 The highly accomplished executive and published author is the most followed Chief Marketing Officer on Twitter and has been voted as one of the most influential social media practitioners of our time. Presently Co-Founder at Prevailing Path and Acting CMO at Brand Innovators, Ted cut his teeth in the online world working with Seth Godin at Yoyodyne (acquired in 1998 by Yahoo!). He recently took some time out of his vacation (on a Saturday!) to share some insights with The UpWrite Group – insights that are focused on positioning you for career success. 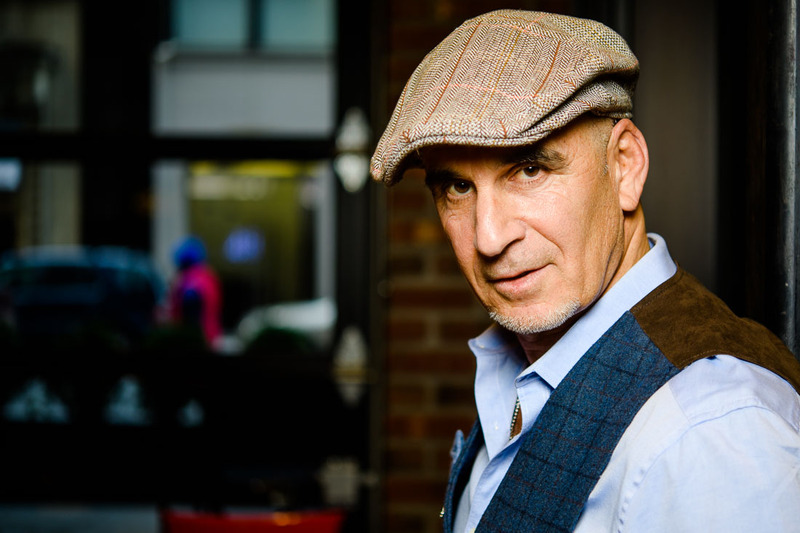 Enjoy and be sure to read or listen to Ted’s inspiring books, “Return on Relationship,” “How to Look People in the Eye Digitally,” and the recently released “The Age of Influence.” They will change the way you look at networking in today’s breakneck digital world. First of all, your social media persona screams career happiness…why do you love what you do? Side question: Was there a time you loathed your career and what did you do to turn things around? I always thought of myself as a networker and relationship builder, and the platforms that exist today allow me to be connecting, engaging, and sharing every day 24/7. But more importantly I am constantly building communities. I realized a few years ago that I was always doing way more than connecting… I am a community builder at heart. A network gives you reach, but a community gives you power. Networks connect, communities care. This is what makes me very happy. There have been many times when I have come to loath what I do, and for many of us it is part of our growth and evolution. Everyone at one time or another has to do “what they have to do” in order to take care of ourselves and those we care about. For me it has always been about Attitude, Perspective, and Mindset. Your Attitude and Perspective power your Mindset. Dale Carnegie says, “It isn’t what you have, or who you are, or where you are, or what you are doing that makes you happy or unhappy. It is what you think about.” I have come to understand, as I have matured, how true this is for us all. In your book “Return on Relationship,” you talk about relationships being the new currency. This concept couldn’t be more true for job-seekers – how is your message relevant to college students, mid-level managers and C-level executives alike? It is relevant to us all. Welcome to the ‘Age of Influence,’ where anyone can build an audience and effect change, advocate brands, build relationships and make a difference 24/7 from anywhere and anytime. Relationships are like muscle tissue. The more they are engaged, the stronger and more valuable they become. For LinkedIn users looking to engage with a target (i.e. a recruiter, headhunter or hiring manager), why is it so important to include a personal note in an initial invitation? What does this simple gesture do to get the relationship off on the right foot? A little advice for people here using LinkedIn and Facebook, more of a very strong suggestion: Stop sending out invites without a personalized note, and best if that note offers a reason you want to connect. It’s all about building relationships, not just being connected, and the first step of that relationship is the introduction – especially if we have never met! This is not about success rates, percentage of acceptance rates, or whether or not people respond in my mind. This is about your reputation, how you are viewed, and the foot you put forward, not what others do. Always remember… Your Brand/Business is what you do; Your Reputation is what people Remember and Share. This is what guides my thinking – how I behave, interact, and engage. Flipping the script and focusing on companies, some have simply mastered social media. High levels of engagement, passionate fan bases, etc. How can they leverage this to attract better talent and promote their workplaces as collaborative, inclusive spaces that breed career happiness? I think the key lies in revamping the employee-employer relationship. Employers have to understand that the “buyer’s market” they’re in right now will not always be the case, and even if it is, an attitude that champions the brand over the employee is no way to build brand loyalty that can go well beyond time on the job. If you want to build a winning team that stays with you, advocates for you and helps you get ahead as a company, you have to treat that team with respect. Treating employees like a commodity and/or a cost center eventually backfires because it leads to constant turnover, which is counterproductive in the long term. Start thinking of your employees as an investment instead. If you look out for them and help them when they need it, they’ll be there for you when you need them. It can be as simple as creating a nurturing workplace that encourages growth and innovation, versus a culture of fear fostered by so many companies today. There’s an old saying in networking circles that in order to receive, you have to give first—and do so without expectation of anything in return. It’s called the “giver’s gain” philosophy. Doing for others without expecting anything directly in return always brings good things back to you. What is your advice to people who are miserable at work – how can they use the power of relationships to dig their way out? Start looking at the connection/interaction with people you meet not as win/win, but as learn/learn. Win/win is good, but implies an end. Once you win, then what? Learn/learn creates a paradigm of ongoing value. This creates a learn/learn situation (I learn about you and you learn about me) – we help each other. These relationships will make the workplace better when they are with co-workers, will give you support and empathy when they are with friends, and will help you find other job opportunities when they are with anyone and everyone, especially colleagues at other organizations. It’s time to stop making excuses, and start bringing in-person social skills to the digital world and leverage them more in the face-to-face world using digital tools. Do not forget that you can still hear someone’s voice and make a deeper connection by actually “calling” them on your phone. All of the positive benefits are out there waiting, and it’s up to us to make the effort to realize them. Let’s get started! #RonR. A big thanks to Ted! 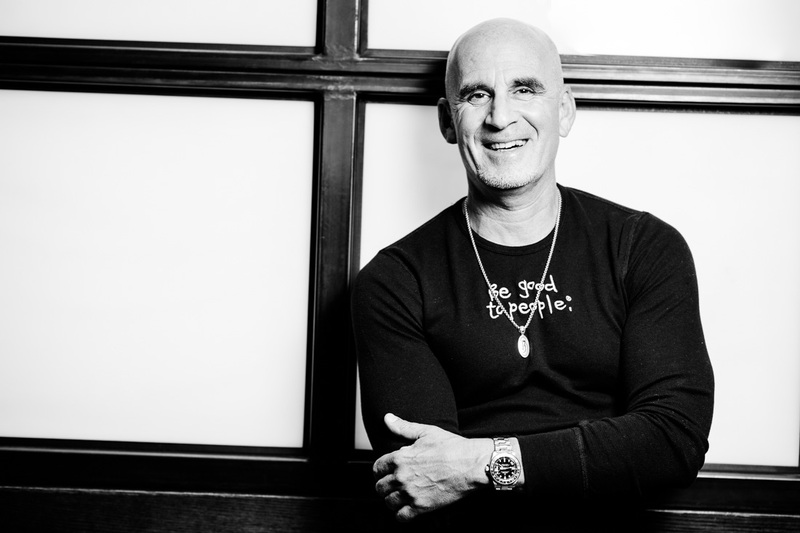 Empower and educate yourself by visiting www.TedRubin.com or following @TedRubin on Twitter and Instagram, and Ted Rubin on Facebook and LinkedIn.